At Diamond Depot we promise to pay you more for your Gold, Silver, Diamonds and Platinum. 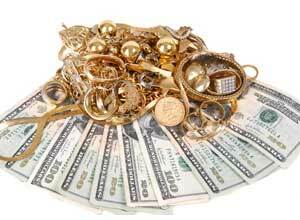 We want to buy your used, broken, new or unwanted jewelry as well as any coins that you wish to sell. We promise to pay the most competitive pricing and offer immediate payment upon accepting our offer. Just ask anyone around! You won't need to ask many people to find out that we pay the most and are always more than fair on our offers. We pay you for your precious metals as well as the precious stones that may be set in the items you bring to us. Still not convinced? Carry your items to a few of our competitors and get a quote. When you're done, come to Diamond Depot with an actual quote given to you, and be rest assured that we will not only match the offer, but beat it. We guarantee to offer the most on your unwanted precious metals! If for any reason you decide not to sell your jewelry, we will do everything we can to assist you further with any future needs you might have with it, or anything else jewelry related.